The Croatian-Austrian collective Numen/For Use (previously here) created a fun installation for the D-Day Festival in their own city of Zagreb. The suspended Field, executed in a former slaughterhouse, underwent the entire vegetative cycle from sprouting to disintegration. 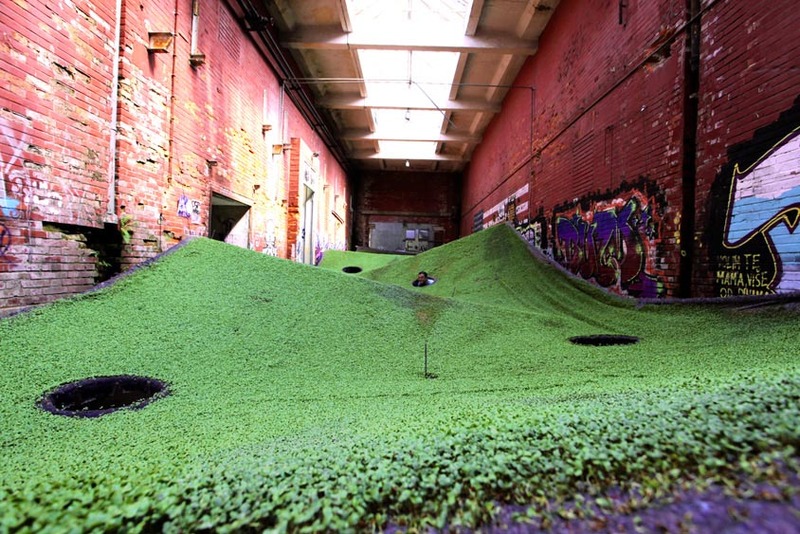 The grass field was grown on a floating piece of fabric, converting the designers into urban farmers and making them aware of the fragility and power of life. The growing field was not tied down to the ground, contradicting the usual assumptions that earth is an immobile mass of infinite weight and a two dimensional surface. 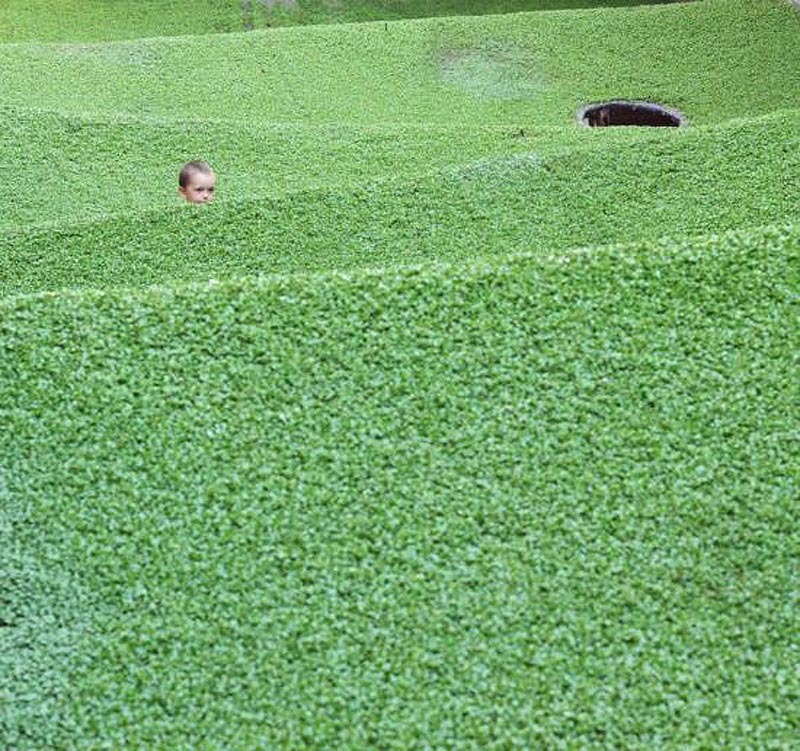 I especially like the fact that people could wander under, as well as above, the installation, peering up through the holes in Whac-a-Mole style.